Waterfalls are grouped into ten broad classes based on the average volume of water present on the fall using a logarithmic scale. 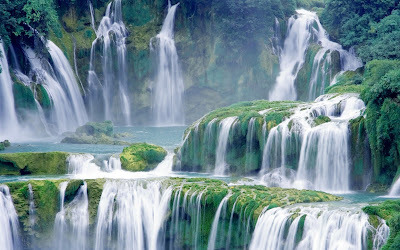 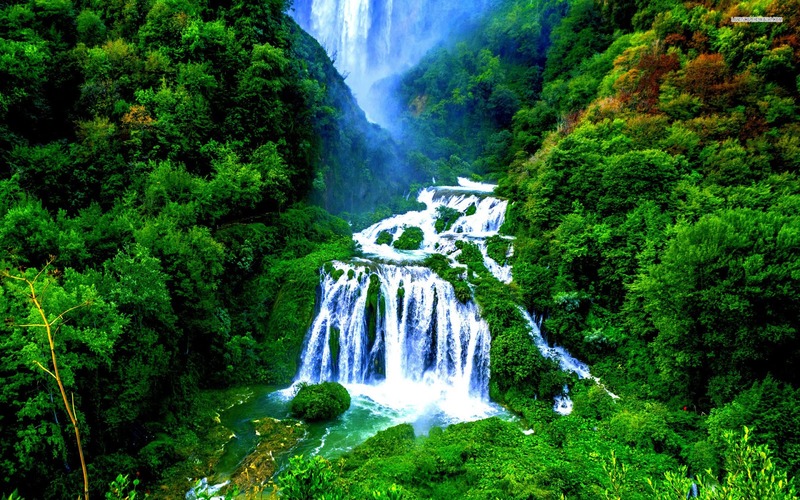 Types of waterfalls: block, cascade, cataract, fan, horsetail, plunge, punchbowl, segmented, tiered,multi-step. Cascata delle Marmore in Italy is the tallest man-made waterfall in the world. 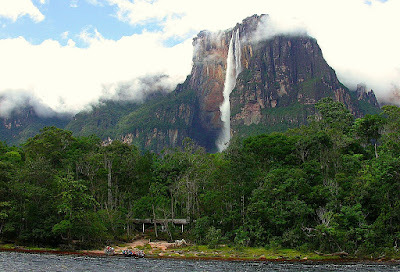 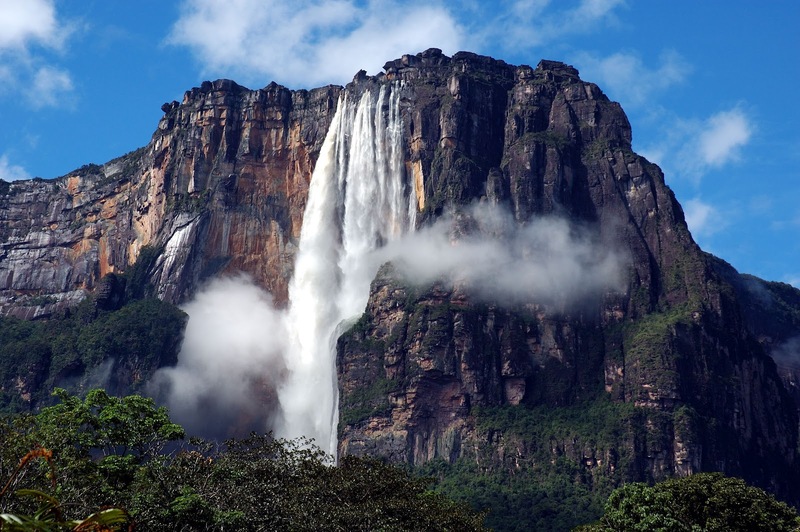 The tallest waterfall in the world is the Angel Falls.Angel Falls drops 3,212 feet (979 meters) from Auyán-Tepuí (Devil Mountain) in Venezuela. 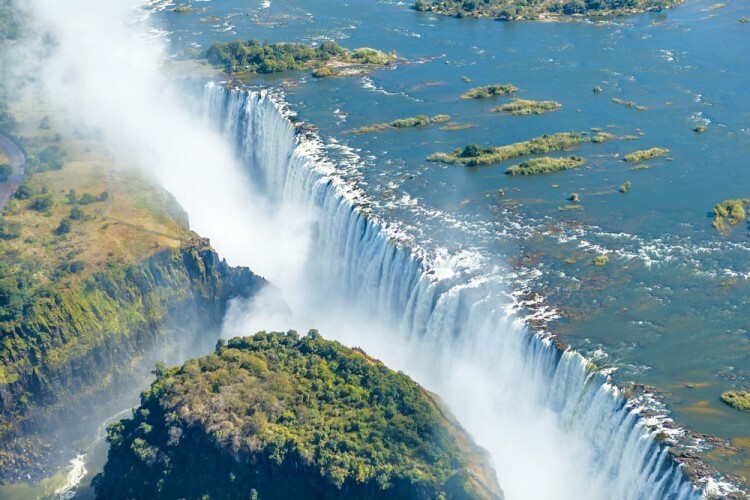 The waterfall was named for Jimmy Angel, an American flyer who discovered it in 1935 and crash-landed nearby in 1937. 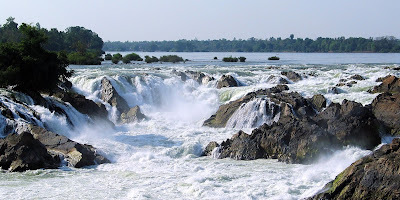 Widest waterfall – Khone Falls stretch 6.7 miles (10.8 kilometers) across the Mekong River, stopping river traffic at the Laos-Cambodia border. 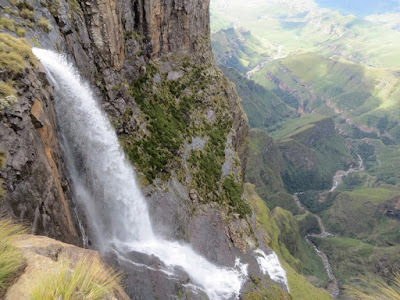 The highest waterfall in Africa is the Tugela Falls at 947 metres. 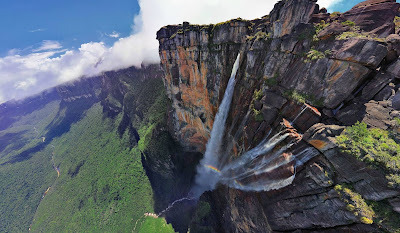 It is found in South Africa. 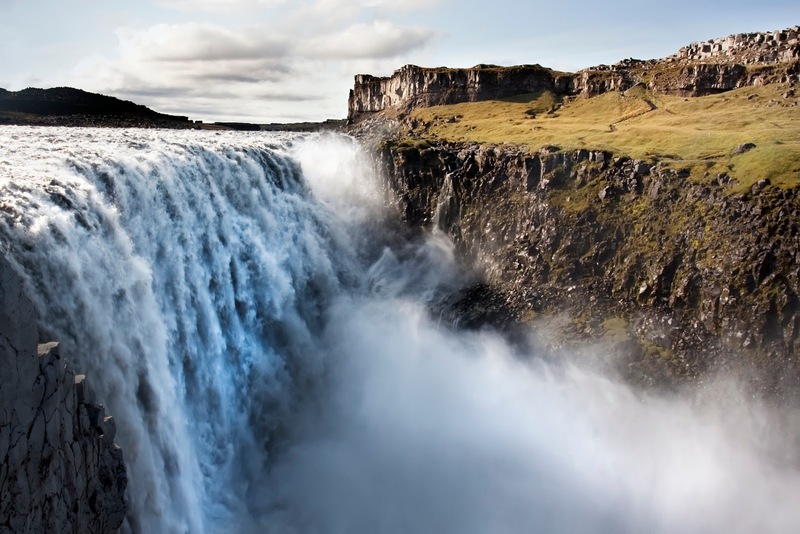 Europe’s highest waterfall, Utigard in Norway, is 800 metres high. Victoria Falls is the largest waterfall in the world and is more than a mile long. Tugela Falls is the world’s second tallest at 947 m (3110 ft) in KwaZulu-Natal province, Republic of South Africa.